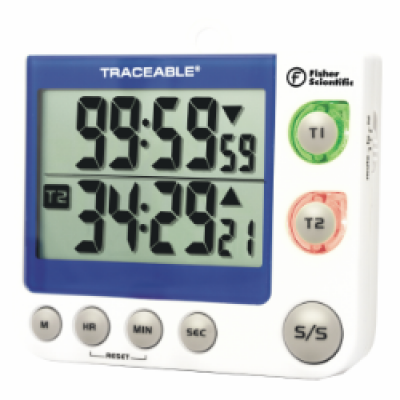 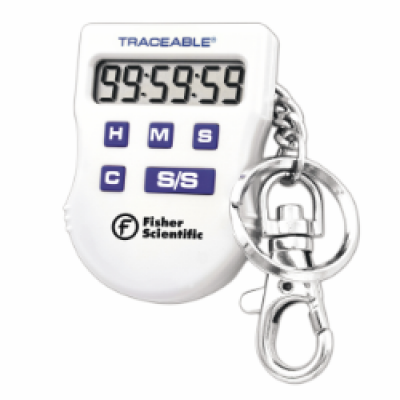 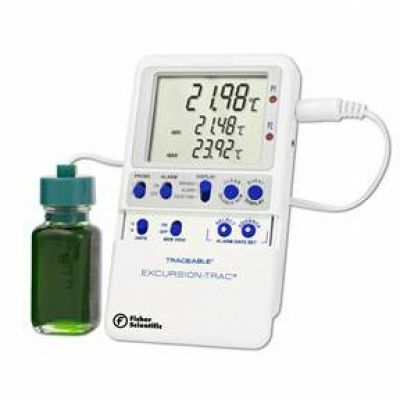 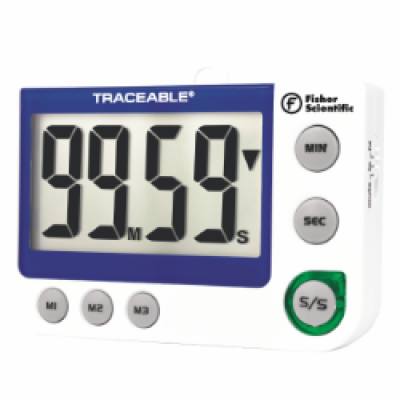 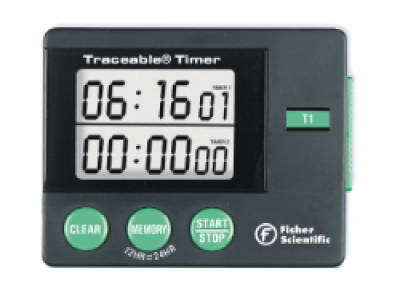 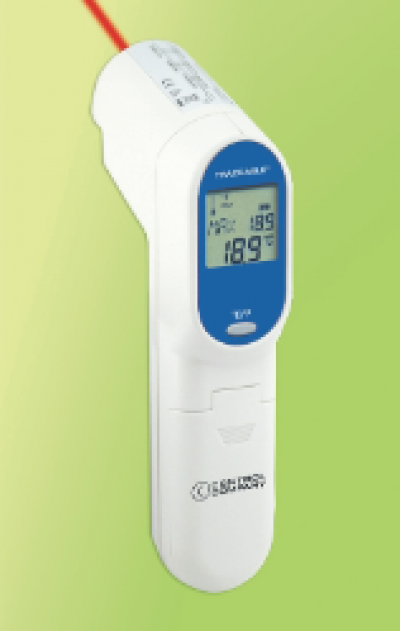 Fisher Scientific™ Traceable™ Four-Channel Countdown Alarm Timer/Stopwatch with Memory Recall features four countdown channels plus stopwatch channel and time-of-day clock. 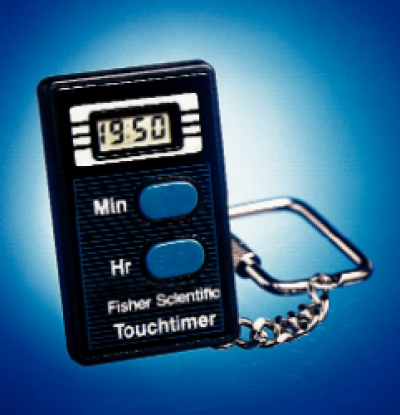 Timer: Counts down from 99 hours, 59 minutes, 59 seconds to 1 second. 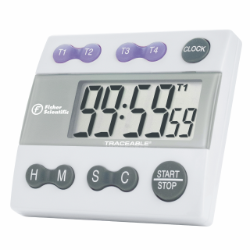 Stopwatch: Counts up from 1 second to 99 hours, 59 minutes, 59 seconds. 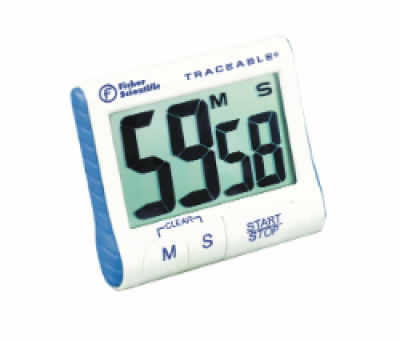 Height (English) Display 0.75 in.